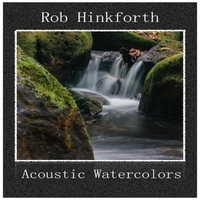 Acoustic Watercolors is a collection of beautifully played acoustic fingerstyle instrumentals, including original songs, a few hymns, and some pop classics. The style is warm, intricate, soothing. Born in 1974 in Milwaukee WI (USA), Rob Hinkforth has been playing guitar since the age of 10 (his grandmother was his first guitar teacher). In the middle 1990s Rob studied fingerstyle guitar performance at the Wisconsin Conservatory of Music, in Milwaukee. 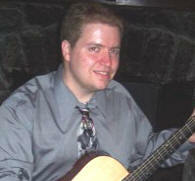 Rob has also played professionally for weddings and hosted concerts throughout North and Central America. Rob currently resides, together with his wife Evelyn, in Heredia Costa Rica. Or Order the CD direct from our online store!